As I tread the Globe....: Hotel The SeaRock, gone forever! It was a surprised news in the Hindustan Times newspaper today. It showed an empty piece of land, photo taken after complete demolition of Hotel SeaRock, Bandra Bandstand. This hotel was one of the victim of serial blasts of 1993. The blasts damaged the hotel to the extent that it could not be repaired without demolition. Perhaps this process got stuck in CRZ rules or whatever, but it remained closed and abandoned (in a way) till this year. There is hardly any information beyond this on net, nor any photo of the hotel when it was in its peak glory. Not even after the blast occurred. I would like to copy-paste the entire article before the link goes defunct. The landmark hotel in focus of reported takeover talks, has struggled to come to terms with the future since the bomb blast in 1993. Some time after Jane Fonda and long before Shilpa Shetty cut a fitness tape, Bollywood star Rekha became the brand ambassador for fitness icon Rama Bans, who would knock her celebrity clients into shape at the health club at Welcomgroup SeaRock Sheraton at Bandra’s Land’s End. Smita Patil was another regular at the health club, Sangeeta Bijlani swam in its pool overlooking the Arabian Sea, Parveen Babi met journalists and producers here and not in her home, Jackie Shroff would mope in its coffee shop before the release of his blockbuster Hero, the party for which was hosted by director Subhash Ghai coincidentally at the same hotel. The SeaRock was Bombay’s first serious attempt to shift away from the Fort and Nariman Point to the suburbs, and viewed as a Johnnie-come-lately by stalwarts Taj and Oberoi, from whom it grabbed both eyeballs and business when it opened in 1978. The arrangement with Welcomgroup, as the ITC chain, then newly launched, was known initially, was for marketing and management, before the 400-room property was leased to the group. 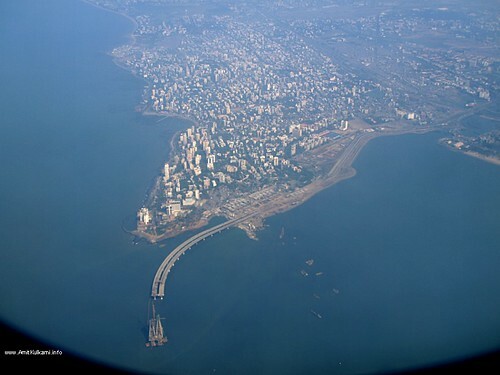 In the early eighties, it introduced Bombay to several firsts, including a frontier restaurant called “The Earthen Oven”, the rooftop revolving restaurant “The Palace of the West Empress”, known for its Chinese cuisine, the popular coffee shop “The Oceanic” and a vegetarian restaurant “Vega”. Its Playmate Club was a gathering place with a somewhat less salubrious reputation, but it was where the film fraternity and its financers — in those days the underworld — probably met. Several Welcomgroup hoteliers — Dammi Sabherwal, Channi Pantal, Anil Channa — cut their teeth managing the SeaRock. The bomb blasts in the 1993 riots that crippled the property now seem out of an Arthur Hailey novel. The building was endangered, the lift well was skewed out of alignment, the revolving restaurant no longer revolved, the floors were damaged and considered dangerous. Remembers Welcomgroup old-timer Shona Adhikari, “Only the fourth floor remained functional with 10 to 12 rooms, and we had to climb the stairs to our rooms when we visited Bombay.” Tea/coffee makers were provided in the rooms to tide over F&B crisis, though the coffee shop stayed open, at least notionally. 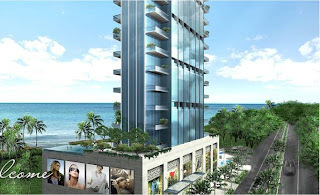 When in 2005, Suresh Nanda of Claridges Hotels and Resorts bought the SeaRock property for Rs 300 crore, it was assumed that they would bring down the building and replace it with a new one, though the headache was in dealing with city regulations that made fresh construction on the promontory overlooking the sea near-impossible. The delay since then might account for this, but in January this year the group signed an agreement with the Taj group (which has the Taj Lands End located diagonally across the road) to offer it technological and operational advice. Currently, though, with the Taj group not commenting on the takeover talks, it appears likely that it might end up with a majority stake in what was once its competitor. Whatever the outcome, one thing is for sure — both the landmark silhouette as well as its history seem consigned to the past. If I could go back in time, this is surely a place I would like to visit in the past. I went there recently and took some photos of the remaining structure. The curiosity of the stucture again made me wonder. Hence News in HT today was a little surprise. The demolition happened quietly in a way or perhaps the abandoned structure was assumed to be there for few more years. Its disappearance was unexpected. I could never step inside old Searock and probably would never do so in the new one. But the place would remain an icon in the heart, and a story to tell for sure.